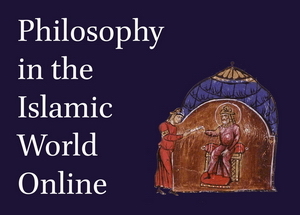 Philosophy in the Islamic World Online: 8th - 10th Centuries is a comprehensive and unprecedented reference work devoted to the history of philosophy in the realms of Islam in its formative period: from its beginnings in the eighth century up to the tenth century AD. Both major and minor figures are covered, giving details of biography and doctrine, as well as detailed lists and summaries of each author’s works. It covers the period when philosophy began to blossom thanks to the translation of Greek scientific works into Arabic and the emergence of autochthonous intellectual traditions within Islam. Philosophy in the Islamic World Online: 8th - 10th Centuries is of unparalleled significance to anyone doing serious research on philosophy in the Islamic world: a unique source for both for specialists and graduate students. This index lists Arabic words found in the Index of Subjects, where page numbers refer the reader to passages where the Arabic terms are mentioned.